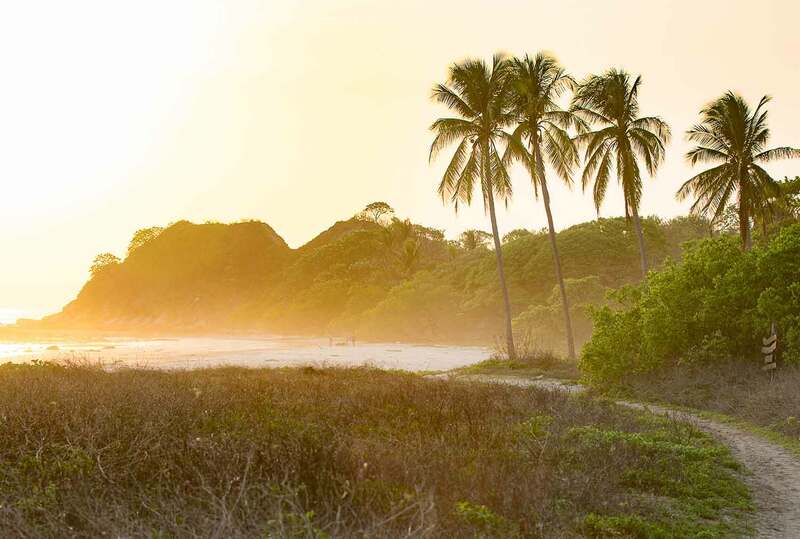 Choose your destination; Huntington Beach, California or Nosara, Costa Rica. Since 1996, we’ve kept it simple and consistent by focusing on muscle memory methods and coaching fundamentals known as our “nine steps of surfing.” Our nine custom surfing fundamentals or “steps” were implemented by surfing’s first professional surfer, Corky Carroll. A 3x U.S. surfing champion and 3x international surfing champion. Corky Carroll’s has a 5-star rating on Google & Yelp!! Surf City USA Rated us Number 1 surf school for 2018!! We love this team, from the awesome owners to the great staff they hire. I have trusted them with my children’s lives for five years now and I never regret it. Beyond their skill level improving, my three kids love the instructors and always make great friends. 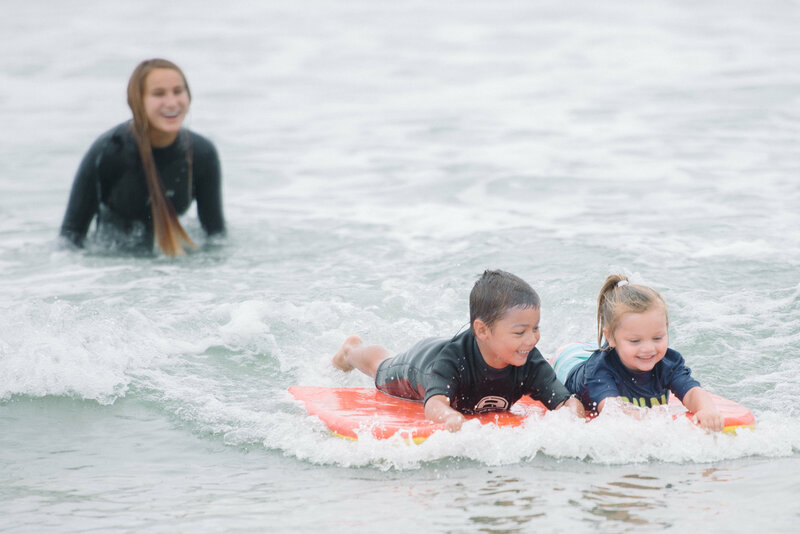 If you want a fun and safe learning environment for your children, their surf school can’t be beat. Year after year, they impress me. This is our 10th year coming to Corky Carroll’s surf camp and we love it! My niece and nephew had the best week. The instructors are super motivating and energetic! Keith and Kelsey are amazing and make you feel like part of their surf family. The organization and daily routine is top notch. Each day is a fun filled adventure! A group of co workers and I had never surfed before. This is the place to go if you want to learn to surf. The owner is an awesome guy with a love for surfing and took great care of me and my friends. All we had to do was show up. 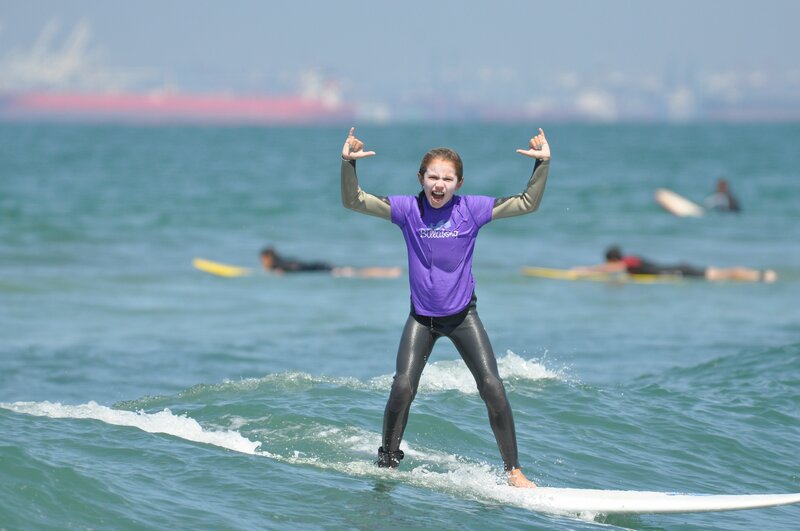 They provided high quality wetsuits and surfboards. I would definitely recommend this to anyone looking to have a great time and learn how to surf!